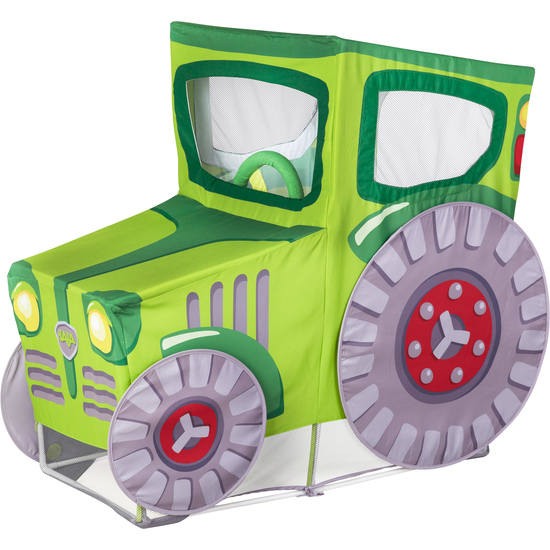 Chug, chug, rumble, rumble…budding farmers can drive this tractor over their fields every day. An especially ingenious feature is the movable steering wheel. And there’s space for a few stuffed farm animals inside. Delivered unassembled. Without floor mat.